A GREATER HARVEST IS COMING YOUR WAY! 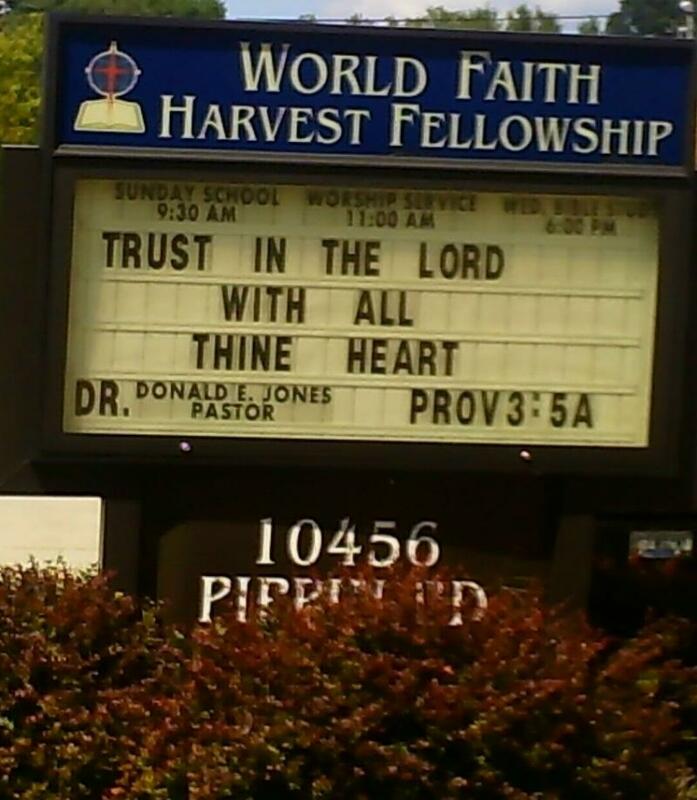 Wednesday March 29th, 2000 God gave Dr. Donald E. Jones a vision to start World Faith Harvest Fellowship Church. The church was started in the Jones house with 12 Chartered members. June 13, 2000 World Faith Harvest Fellowship Church became a Charter Church No. 1162645 incorporated as an Ohio Non for Profit Church. Currently in good standing with the State of Ohio. We became a 501(c)3 tax exempt church. In November 2003, God blessed World Faith Harvest Church to build a new church home at 10456 Pippin Rd. To God be the Glory! December 2003 we marched into our new sanctuary. Praise the Lord! As disciples of Jesus Christ, our Lord and Savior, our mission is to witness to the lost souls, baptize in the name of the Father, Son and Holy Ghost, teach God's word, according to the Holy Bible and make disciples. Since the World Faith Harvest Fellowship (WFHF) Church property is valued at around $360,000, WFHF Church needs to attain additional economic wealth of $640,000 dollars to become self empowered, thus increasing their buying power to $1 million, yes, $1 million dollars. WFHF Church needs to purchase a Red Church Passenger Van with white letters. WFHF Church needs to purchase a water-hose, outdoor basketball hoop and volleyball set (net and ball). WFHF Church needs to purchase a building to house women and children who have been abused and have no place to live. WFHF Church needs to purchase a building for men, who are coming out of prison, on substance abuse and have no place to go.